Jan Vermeulen is considered one of today’s most prominent fortepiano virtuosos. After his piano studies at the Brussels conservatory, his interest and urge for authenticity pushed him into the direction of historical instruments. His pioneering recording of the sonatas of CM von Weber at the beginning of the nineties marked the start of a flourishing career as a fortepiano artist. In that same period he founded the Florestan Fortepiano Trio. This ensemble (later renamed Tröndlin Trio) was one of the first to perform the classical romantic repertoire on authentic instruments. Now Jan Vermeulen harvests worldwide fame with the recording of Schubert's complete piano works for the Label Et'Cetera, an opus magnum which he completed in 2010. Following this project, he was chosen "Musician of the Year 2010’. His extensive discography has received great acclaim from the international press and he is widely praised as "the ideal Schubert interpreter”. Jan Vermeulen’s interpretation marks his mastery. The latest double CD with works by Robert Schumann is acclaimed and received as one of the most important contributions to the Schumann Year 2010. As a soloist Jan Vermeulen has performed all over Europe. His love for chamber music brought him together with musicians such as Wieland Kuijken, Paul Dombrecht, Christine Busch, Roel Dieltiens, Marcel Ponseele, the ensembles Explorations, Il Gardellino and numerous vocal artists. In 2010 he started performing with cellist France Springuel. They have recently recorded work by Schubert and Schumann. These releases will be followed by the recording of the complete works for cello and piano by Beethoven, Mendelssohn, Brahms and other classical and romantic composers. Besides his career as a performer, Jan Vermeulen is also a dedicated pedagogue. 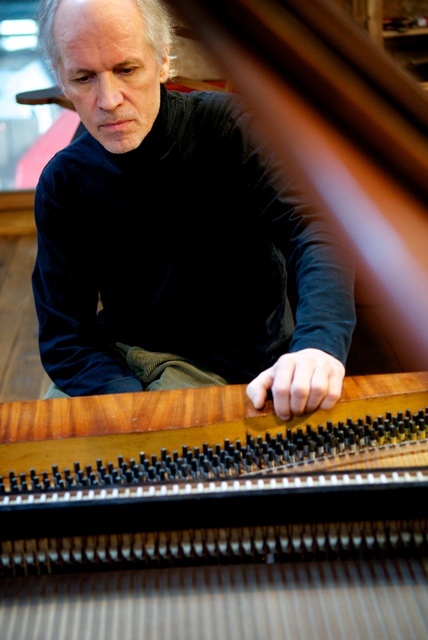 He teaches piano, fortepiano and chamber music at the Lemmens Institute in Leuven (Belgium). Jan Vermeulen has an exceptional collection of historical fortepianos which deliver the true sound of the original compositions.